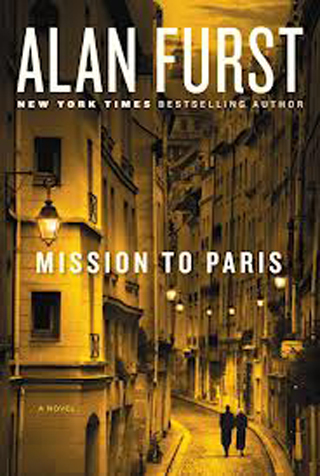 Another excellent story by Alan Furst, one of my favorite novelists, set mostly in 1938 Paris, with some scenes in Berlin and a few in a Hungarian palace. Furst describes vicious and thorough Nazi political espionage efforts to demoralize France and convince them of the futility of fighting. Needless to say, it worked. When the Nazis invaded, France gave up after 5 weeks. The story is told around the making of a movie, a plot device Furst has used before, and one which works well here. My only complaint is the wrap-up at the end, which I thought was done too quickly and was not totally convincing. There was one historical issue I want to read more about. Furst presents the French as knowing the Maginot line was incomplete and that the Germans could easily go around it through Belgium, which they later did. I had read that the French thinking was the forest would stop the German advance in that area. Maybe that was just the public excuse.